For the 16th in this regular series of quickfire author interviews, I fired the 9mm questions at Malaysia-born, Singapore-based lawyer-turned-children's author and crime novelist Shamini Flint. As a reader and reviewer, I first discovered Flint when a work colleague (who is much more of a literary fiction/biography/non-fiction reader, and previously rarely if ever read crime/mystery) read and reviewed Flint's debut Inspector Singh novel, A MOST PECULIAR MALAYSIAN MYSTERY for NZLawyer magazine- and said she surprised herself by enjoying it greatly. Earlier this year I read and reviewed the second in the series, A BALI CONSPIRACY MOST FOUL - I particularly liked Flint's mix of dark and light, comic moments with serious crime, and her evocation of the Asian setting and melting pot of cultures. On her website, Flint says she "travelled extensively around Asia for her work, before resigning to be a stay-at-home mum, writer, part-time lecturer and environmental activist, all in an effort to make up for her ‘evil’ past as a corporate lawyer." The third book in the Inspector Singh series, THE SINGAPORE SCHOOL OF VILLAINY, is now avaialble in several countries. You can read more about the very interesting Shamini Flint here, and about THE SINGAPORE SCHOOL OF VILLIANY, here. But for now, Shamini Flint sits in the 9mm hotseat. I love so may of them – Wexford, Morse, Dalgliesh, Poirot, Rebus, Banks – but not the overly good-looking ones like that aristocratic fellow in Elizabeth George. If I had to choose an absolute favourite it would have to Reginald Hill’s Dalziel. I love that he can make me laugh out loud while still dealing with serious real world crime. Pascoe is a fabulous foil. In a way, I think of my Inspector Singh as having Dalziel’s personal habits and Wexford’s integrity! What was the very first book you remember reading and really loving, and why?I actually grew in a small seaside town in Malaysia which didn’t have a bookshop. A few titles were sold at the local sundry shop, usually the same copies of Five Run Away Together for years on end. Fortunately, my Dad used to travel to England once a year and bring back a suitcase of books from Foyles (I had a dream growing up that I would some day visit Foyles and when I did recently and found Singh on the shelves, I literally shed a tear – it was just a little bit too exciting/emotional). Back to your question, To Kill a Mockingbird. I loved the book and I think it sparked my interest in law and my first career as a lawyer. I began writing children’s books with Asian content (as a failed stay-at-home mum). I actually set up a small publishing company, Sunbear Publishing (http://www.sunbearpublishing.com/) which is still thriving. I still self-publish all my children’s work (and did the same with Inspector Singh too until it was picked up by Little, Brown). So I have a rather long backlist of picture books and children’s novels. My most recent book is called Diary of a Soccer Star and came out last week. Football, football, football! Or soccer to most of your readers, I suspect. I love the game, longed to play it in my youth, play a bit now as a rather clumsy forty year old, train my 8 year old daughter in my spare time (she’s great!) and write about the game the rest of the time. I’ve written two books, Ten and the aforementioned Diary of a Soccer Star on ‘the beautiful game’. If your life was a movie, which actor could you see playing you?Well, obviously that good looking one, Halle Berry. If she refuses to gain 60lbs for the role – Ben Kingsley. Sorry, that’s actually a family joke. All my Indian relatives were convinced that Ben Kingsley was ‘also Indian’ (along with Shakespeare and Einstein) after the film, Gandhi. As a Malaysian, it was interesting and challenging (and scary – as a lawyer, I read the Sedition Act nervously before publication!) 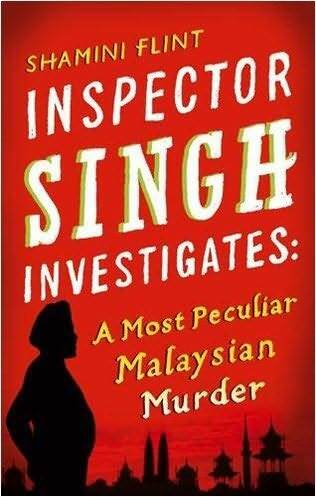 to write about the contemporary issues in Malaysian society in Inspector Singh Investigates: A Most Peculiar Malaysian Murder. Ten is the book which is closest to my heart in the sense of being the most autobiographical. Usually, though, it is fair to say that my latest book is always my favourite! What was your initial reaction, and how did you celebrate, when you were first accepted for publication? Or when you first saw your debut story in book form on a bookseller’s shelf?I was too exhausted to celebrate. I’d been writing and self publishing and pretending to nurture the children as a stay-at-home mum and developing environmental pretensions – it was almost too strange to finally have that breakthrough. Indeed, I was probably just a few months away from going back to the law. 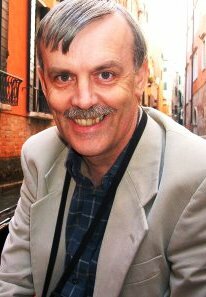 It has given my confidence an enormous boost though, to have a big publisher. And finally seeing a book of mine in Foyles? Priceless. I’ve only just gotten on the circuit so can’t say I’ve had any truly peculiar experiences. I do a lot of school visits though and was recently told by a 4 year old as I began my spiel that I had to be quiet because we were in the library. I had to ask the librarian for special permission to continue. Thank you Shamini Flint. We appreciate you taking the time to talk with Crime Watch. So what do you think of Shamini Flint's answers? Have you read any of her Inspector Singh Investigates mysteries? Do they sound intriguing? Do you like reading crime novels set outiside Europe and North America? Who are some of your favourite Asia-set crime writers? Thoughts and comments welcome. I have read all three of these books and absolutely love them! Shamini has done a wonderful job of writing this addictive series. I have Shamini books in my wish list. Thanks for your 9mm interview Craig. I've added her to my must read list too. I especially liked her being shushed by a four-year old in the library!